This well-known culinary and medicinal herb is also a hard-working evergreen ground cover that thrives in poor soil and harsh conditions. The leaves are shiny and leathery, and turn a nice bronze color in the fall. Flowering occurs in late spring with bright red berries following in the fall. It generally likes cooler zones but can be grown in containers for those in the hotter areas. Berries are similar to cranberries, and can be substituted for cranberries in any dish. Medicinally, the leaves are used mostly for urinary tract type problems. There are contradications to using Uva Ursi, so be well informed before taking any homemade remedies made from this plant. Valerian is a well-known plant world wide for its anti-depressant, and tranquilizing effects. An attractive plant to look at, Valerian unfortunately smells of dirty socks, so its definitely not a plant to put on the front stoop. For this reason, it is also not a culinary herb. Medicinally, however, it is one of the better-known herbs for its sedative and sleep-inducing effects that many people swear by. There are contraindications to taking preparations containing Valerian, so do be informed if you intend to utilize this herb. Tarragon is not one of the more beautiful herbs, but for those who relish the anise-like flavor, it is a good addition in the herb garden nonetheless. It is a delightful enhancement to many meats and vegetables, in addition to cream sauces, vinegars, herbed butters, and yogurt. Medicinally, it can be made into a tea or dried and used in capsules for a variety of common ailments. Wonderful little plant with showy leaves, delightful flowers, and aromatic properties including a variety of different scents, making this very worthwhile garden or houseplant. Easy culture and propagation make it even better. Used in the kitchen for flavoring tea, biscuits, jelly, and even sugar. Medicinally, the plant has astringent properties, making it useful in day to day basic beauty routines. Short-lived, opportunistic plant that has naturalized virtually all over the world. 3-foot bushy growth type with cheery bright yellow flowers that bloom in the heat of the summer while other plants are on the decline. Very easy culture, with bluish green leaves with a turpentine-like smell. Bitter taste and of no real use in the kitchen, but well known for its anti-depressant properties medicinally. Woody shrub with bright green leaves and a piney flavor. Quite winter hardy and tolerates less than perfect soil. Good windowsill herb. Used mainly for seasoning game meats and in stews. Especially good for seasoning dried beans. Not currently used medicinally. Nice looking plant with gray-green leaves that are slightly hairy. Welcome addition to herb or ornamental gardens, as the leaf color compliments other plants, especially those that are red and orange in color. Very attractive to bees, and as such a good addition to habitat-type situations. Lemony-camphor-bitter taste that is well known in the kitchen as an ingredient in poultry stuffings, but also makes a nice addition to meats, poultry, and vegetables. Medicinally safe herb for a variety of medical conditions. Top notch aromatherapy herb - pick a leaf and roll it between your fingers for a remarkable aromatherapy experience. shrub or be contained to fit proportionately in any size container. Very amenable to topiary techniques and a popular plant at Christmastime shaped like a Christmas tree and decorated. Excellent companion plant. Valuable in the kitchen for its piney-minty-ginger combination of flavors that lends itself well to meats, fish, cheese, eggs, and vegetables. Medicinally safe and can be used to treat many common ailments and also as a general tonic. This time tested gardening favorite provides interesting flower buds, showy blooms, fascinating seedpods, and incredibly easy care, with many varieties and colors to choose from. With such virtues, its a wonder we dont see this plant in every home landscape. Medicinally, the Opium Poppy is an important medicinal herb commercially, but is a controlled plant because it is the source of - well - opium. However, it takes so many plants to make just a tiny bit of opium, that you probably wont have the plant police knocking at your door if you grow just a few plants mixed in with your other perennials. Other poppy types are also great garden plants but are only minor medicinal plants that are perfectly legal and can be used for a few common medical complaints. This plant is a tough survivor that most of us are very familiar with. It grows in sidewalk cracks, lawns, flower beds, roadsides and in waste areas and propagates itself very freely. It has a long taproot that will grow a new plant even if all the foliage is completely cut off. Many consider it Enemy #1 when they are doing battle with it in the middle of their manicured lawn. What most of us dont know, however, is that this is a versatile medicinal herb that has been well known for centuries and is completely safe. Next time you are out mowing the lawn and get stung, grab a plantain leaf and rub it on the sting. You will never look at this "weed: in the same way again! Vining types of Periwinkle can be a Godsend in problem areas in the home landscape. This plant does well in average soil and just a little bit of shade and sports lovely blue, white, or pink flowers in spring, sporadically through the summer, and sometimes even in fall. The leaves are dark green, glossy, and evergreen and the plant grows quickly, forming an evergreen mat that quickly crowds out undesirable weeds. Rosy Periwinkle is a close relative but is sold as an upright bedding plant. It does well in hot, dry areas and provides color in areas where other plants would not survive. Medicinally, all Periwinkles have the capacity to be very poisonous, and it is not recommended that the average person make any herbal remedies from this plant. The mints we are most familiar with are only a small part of a huge family of plants, many of which are quite invasive. An important source of menthol and flavoring in industry, mint is also a delight in the home garden when grown in pots or otherwise contained in the garden. This rampant grower comes in a variety of flavors from strong to mild, and lends itself well to many uses in the kitchen. Medicinally, the plant is completely safe and is best known as a digestive aid. Dont forget to pick a leaf and crush it between your fingers for some of the best aromatherapy around! Tall, dramatic, back of the border herb that smells and tastes like celery. In the kitchen it can be used as a substitute for celery in any dish, and it mixes especially well with potatoes and steamed vegetables. Medicinally, it is used mainly for digestive problems internally and externally for minor skin irritations. Easy to grow, attractive, low-growing plant with a lemony-minty taste that lends itself well to many drinks and dishes. Medicinally safe and mild, usually taken in a tea for the calming and overall health benefits. Great starter plant for beginning herb gardeners and a mainstay in culinary gardens. A mainstay in southeastern Asian cooking, the grass-like foliage and lemony fragrance make this a nice addition to any herb garden. Lemongrass is an ingredient in many citronella mixtures and has known insect repellent properties. Medicinally, it is used for a plethora of complaints both internal and external. It lends itself well to the making of teas, oils, ointments, and capsules and is safe to use in moderation for most adults. See link above for contradications. Yet another member of the large Mint family, Hyssop is an easy to grow attractive herb that makes a useful border or edging plant. It attracts hummingbirds, bees, and butterflies, and as such is a valuable addition to a habitat-type situation. It has a minty-licorice taste and a strong camphor-like smell. It has been used for cleansing herb since biblical times. Studies show that it does indeed have antiseptic and antiviral properties, and it is therefore of use either internally as a tea or externally for bruises, scrapes, etc. Lantana is a well-known landscape plant with easy culture and reliable bloom all summer long. It mingles well in flowerbeds and works well in containers and even on slopes for erosion control. Bees and butterflies love it, making another good addition to habitat gardens. It has no uses in the kitchen and the green berries are toxic and should be avoided. The medicinal properties are not well researched and are conflicting, however, a tea can be made from the leaves that some report is of benefit for joint pain and some flu-like symptoms. Another member of the mint family, this is an easy to grow plant that self seeds readily and may become invasive if left to its own devices. It has a musky odor when brushed, and a menthol type taste that lends itself to flavoring for sweets and teas. Medicinally, it has been verified to work as a safe (in moderation) cough suppressant and expectorant. Like Ginseng, Goldenseal is difficult to grow and has only limited uses in the home landscape. 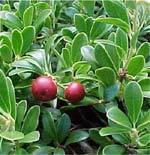 It is also on the endangered list due to over-harvesting in the wild, and can be toxic when overused medicinally. It has an unpleasant bitter taste, and is best known medicinally for its supposed drug masking effects for hiding marijuana usage, which in actuality it does not do. Historically it has been used mainly as an eyewash and mouthwash, and is often included as an ingredient in Echinacea cold preventative herbal medications. A true heavyweight in the herbal world, its hard to say enough about this shrub and its medicinal qualities in such a small space. The sinensis variety is the type used for green tea, and there is a remarkable list of ailments that this tea is believed to alleviate. Even if you dont grow your own plants, green tea is readily available on grocery store shelves, and virtually everyone without contraindications should at least try this amazing and easy herbal remedy at some point in their lives for the overall health benefits. This member of the Daisy family has a very bitter taste and a smell that bees hate, making it a good plant for areas where you dont want bees to congregate such as decks and entryways. Because of the bitter taste, it has no uses in the kitchen but does appear to have some medicinal properties both internally and externally including as a digestive aid and for minor skin complaints such as stings and bruises. Hardy, easy to grow, extremely useful plant with delightful flowers on long, sturdy stems. Though it has no uses in the kitchen, it is a well-studied medicinal herb that can be safely used for a variety of ailments. A must for any serious herb garden, and a welcome addition to both formal and informal flowers gardens. Cool weather plant with rather scraggly overall habit, but attractive blue flowers. The ground root is a well-known coffee additive, but the roots can also be harvested and cooked like parsnips. It has a tart, bitter taste the leaves can be used in salads. Easily started from seed. Medicinally, can be used as a digestive aid and topically as soothing eyewash. Charming and useful member of the onion and garlic family. Cheery flowers borne on hollow, cylindrical stems. Wonderful addition to baked potatoes and many other vegetables. Good companion plant for other herbs and vegetables and a must for the windowsill herb garden. Medicinally have the same properties as onions and garlic. Finicky ornamental tree that only does well outdoors in mild climates. Can be grown indoors if care is taken to tend to its needs. Leaves are generally used whole for flavoring in dishes with liquid bases, such as stews and soups. Medicinally used mostly as a stomach soother and mild sedative. Scraggly looking plant with pretty pink flowers that attract bees. Mostly used as a recreational substance for pet cats but the leaves can be used sparingly in salads an a tea can also be made for its soothing and calming effects. Easy to grow and good companion plant for other herbs and vegetables.